Please see below the Terms for the purchase and use of a Grave or Memorial. The Applicant and Rights Holder must comply with all rules or regulations which may apply to the operation of the cemetery, crematorium and memorial gardens. Centenary Memorial Gardens may vary its rules and regulations at any time and in any manner it deems appropriate. The Right acquired by the purchaser is a right to be interred or inurned in a particular grave or memorial and the right to authorise the interment or inurnment of others in the site (up to the number permitted in that site as determined by Centenary Memorial Gardens from time to time). Where there are multiple rights holders any (one rights holder) may authorise. The Right may not be sold; is not transferable or transmissible by death. An unused Right may be surrendered to Centenary Memorial Gardens. Upon surrender Centenary Memorial Gardens will pay the Rights Holder or their estate an amount equal to the original purchase price of the grave or memorial. However, an administration fee will be applicable. The Right granted hereunder is personal, not proprietary. Nothing herein grants the Applicant or Rights Holder an estate or interest in any land. On the death of the Rights Holder, the authority to authorise burials in a grave reverts to Centenary Memorial Gardens. 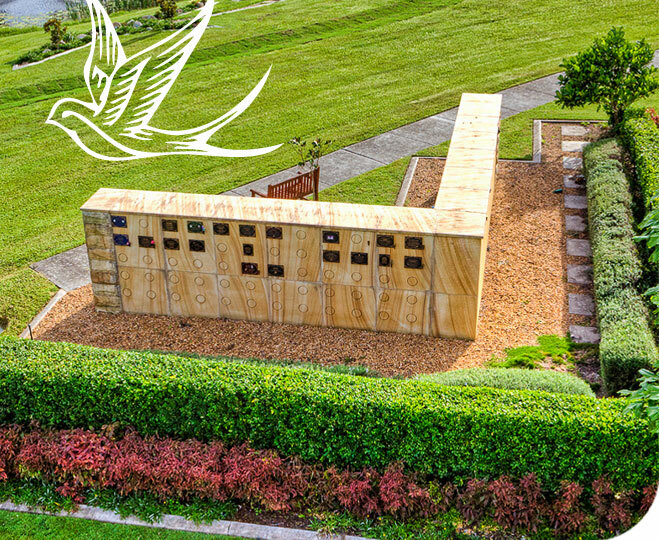 Centenary Memorial Gardens will permit, in its absolute discretion, a spouse, child, partner, relative, direct descendant, legal representative or friend of the Rights Holder to be interred or inurned in the grave or memorial. To help us maintain a beautiful, clean, tidy environment, CMG has developed a Floral and Memento Policy. Our policy guidelines clearly set out the kind of tributes that can be left at graves and cremation memorials. 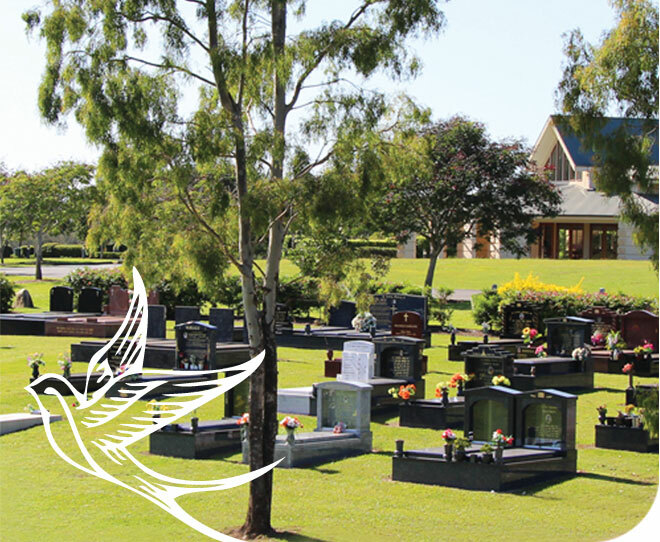 Your co-operation will ensure that any unauthorised memorials will not be removed from the grave/memorial garden. The placement of fresh flowers is always welcome. Prior to mowing, the spent flowers will be removed. To preserve the well-kept beauty of the Gardens and to reduce the risk of injury in accordance with Workplace Health & Safety requirements, ornaments, artificial and silk flowers, plantings, glass jars, tins, wind chimes, windmills, photo frames, statues, balloons and other non-approved receptacles are not permitted and will be disposed of. Please see separate sheet for details of Policy for Gumnut Garden. Centenary Memorial Gardens does not accept responsibility for any placements by family or friends at the memorial site. All plaques, bases, monuments or memorials must be supplied by Centenary Memorial Gardens. Memorial Gardens against faulty workmanship and defective materials for a period of 5 years. Centenary Memorial Gardens will make good any damage caused during the course of maintenance. Centenary Memorial Gardens accepts no responsibility for any deterioration in plaques, bases, monuments or memorials due to the natural elements or the passage of time. 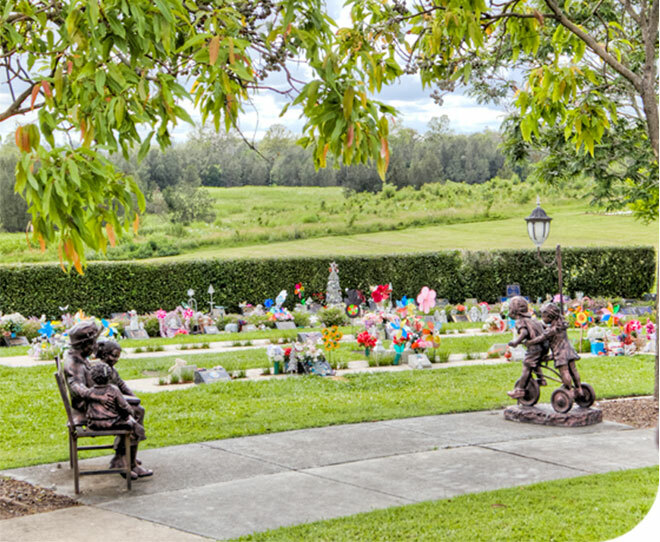 Except for emergency circumstances, staff of Centenary Memorial Gardens will endeavour where possible to contact the family prior to removing any monument/memorial that is considered dangerous or is likely to cause injury. PLEASE NOTE: Centenary Memorial Gardens acts in good faith when it relies on advice provided by Applicants and does not accept any responsibility for allowing an interment or inurnment that might be the subject of a later dispute between family members. Centenary Memorial Gardens policy indicates only small bud flowers to be put into these vases. Objects that hang or obscure any other plaques on the Wall are not permitted. We thank you for contributing to the unique beauty of Centenary Memorial Gardens and observing these conditions.